Mt. 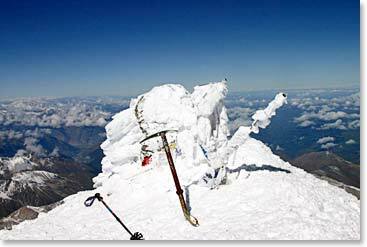 Elbrus Expedition Dispatch: August 8, 2010 – Team Mimi on Top: Summit Success! August 8, 2010 – Team Mimi on Top: Summit Success! 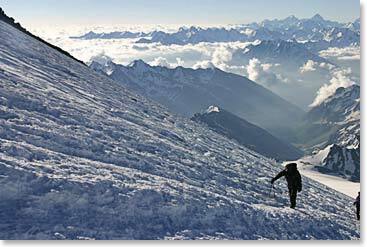 Jack and Scott are happy to report that team Mimi made it to the summit of Mount Elbrus on August 8th, 2010 at 1:00PM. The guys are now safely off the mountain and will soon be departing the Caucasus on their way to Moscow, after a successful climb and a memorable experience here in the mountains.